Class Clown Spots A UFO is the second album of 2012 from the resurrected Guided By Voices. The band saved their better effort for this one, as the new record is superior in almost every way to January's Let's Go Eat the Factory. In fact, Robert Pollard and company have put together one of the most cohesive and accessible of their vast catalogue. 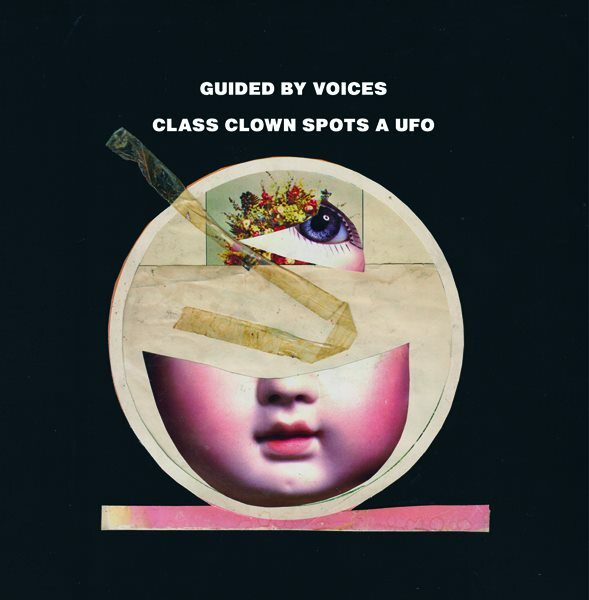 Unlike much of Guided By Voices' work, the 21-tracks that comprise Class Clown Spots A UFO are almost all polished, well-thought out numbers. There are none of those infuriating toss-off song fragments to be found here. The album flows far better without that added bloat. There's a stronger energy to the record as well. The album kicks off with "He Rises! (Our Union Bellboy)", a song with a "Happy Jack" feel to it. The concussive impact of "Blue Babbleships Bay" shows a forceful side that we see all too seldom. Guitars slice back and forth on "Hang Up and Try Again", cutting the song to ribbons. Some Black Keys-esque garage/blues rock makes its way out on "Tyson's High School". There's even a spirit of '77 punk nod with "Roll of the Dice, Kick In the Head". An increase in the band forcefulness doesn't mean that they haven't turned up the pop as well. Tracks like "Forever Until It Breaks", "Starfire", "Chain To The Moon", and the title cut (complete with handclaps) feature melodic vocal harmonies. Hooks abound on "All of This Will Go" and the head-bopping "Keep It In Motion". Even Pollard's lyrics are more measured. "Be Impeccable" contains some of his deepest, touching lyrics to date, without being muddled by nonsensical wordplays. Despite lacking that one stellar anthem, Class Clown Spots A UFO may very well be the easiest Guided By Voices album to listen to from start-to-finish. Best tracks: "Class Clown Spots A UFO", "Hang Up and Try Again"